Focusing and setting intentions are essential to goal achievement, and one way to do this is to create a visual representation of your goal or a “treasure map.” In this fun, playful workshop, create a display board with lots of colorful images that can help you see very clearly your life’s vision. First, envision your dream life, then trust your inner child’s creativity and intuition to form a map that will lead you toward manifesting and attracting your most passionate life dreams and goals. Even if you’re not sure what you want, your intuition can guide you through this free-flowing, brainstorming activity. 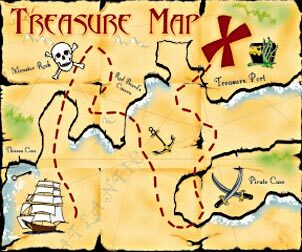 Leave with your personal treasure map, and related resources, to pursue the manifestation of your goals. Evon Davis has taught the Law of Attraction workshop at CFU for seven years and has found that treasure mapping makes the law of attraction even more powerful. Click HERE to register.